I love RMS Beauty. A lot. This brand of organic cosmetics has done nothing but impress me since I started testing out their products. It is one of the few organic makeup lines that feels nothing like makeup. In fact, the creators say it best themselves, “think of it as skincare with mineral colour.” It couldn’t be more true, that is exactly what this is – nourishing products for every skin type that just so happen to cover up imperfections and make your skin glow. I love it. Glow, baby, glow. The Living Luminizer by RMS Beauty has been on my must-have list since I pulled it out of the box. This is one product I will never live without. 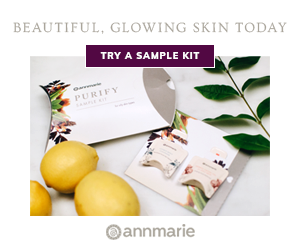 Perfect for any skin type, this will make you glow like an angel. The sheen it leaves on your skin allows it to sparkle in the light without looking like you’ve thrown a bunch of glittery mineral powders on your skin. Think of it as an extension of your own natural glow. I use my luminizer below my eyebrows on my brow bones, on the cupids bow of my upper lip and on my upper cheek bones. It is a daily asset to my beauty routine – I even dab this on days I’m not wearing “makeup”. 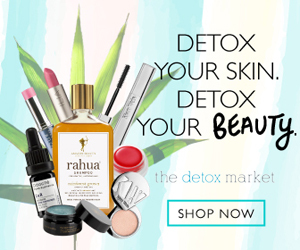 Glow like a goddess after you grab this pot of gold from The Detox Market for $38 USD. Heavy makeup is a big no-no for sunny summer days. There is nothing like good daylight to reveal a bad makeup job. I love RMS Beauty’s Un Cover-Up because it avoids the look of wearing makeup. I suppose that is exactly why it got its name the “un” cover-up. It goes on smooth and silky and won’t stick into lines and while it may not cover up your pesky blemishes, it is perfect for flawless complexion and under eye taming. I would especially recommend this for older skin as it won’t creep itself into fine lines like other makeup (which only helps to accentuate the signs of aging). The ingredients are the same as the Living Luminizer with the exception of different pigments. This coverup is a permanent fixture in my beauty routine – get on it, beautiful! Shop this magical compelxion fixer online at the Detox Market for $36 USD. 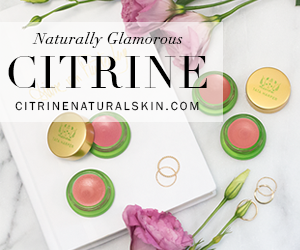 Scoring a Low 1 on EWG’s Cosmetic’s Database, this Organic makeup is top ranked both in efficacy and safety. Curious about what else I love in the RMS line? Check out my previous blog featuring on their Lip2Cheek. Looking forward to hearing about how much you love RMS too! Ananda Soul Creations: Beautiful Yoga-Inspired Jewellery for the Boho Babe + GIVEAWAY! I am slowly getting back into makeup (after about a 20-year hiatus ;-) ) and switching the products I do use to natural or at least more natural ones. I would really like to try RMS “un” cover up, but I use a mineral sunscreen (one of the Alba Botanica mineral ones), having eliminated chemical sunscreens from my routine. SPF 30 is a minimum to keep areas of darker discoloration under control. So my question is…is it possible to use RMS “un” cover up over this sunscreen, after allowing the sunscreen time to settle? 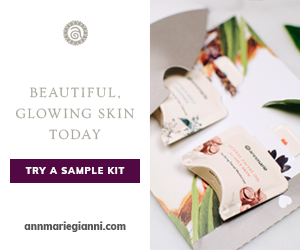 I plan to buy samples of it to try, but would appreciate any thoughts/feedback/suggestions you have. Thank you! I just found your blog doing a search and I’m glad I found you. Thansk for stopping by and hope you come back soon! I have moderate acne, dark circles, and some redness — would RMS un-coverup be a bad idea, then? I’m having a hard time finding an all-natural foundation that’s reasonably priced (under $40) and not full-coverage, and this is the closest to my ideal that I’ve been able to find. I don’t mind if it doesn’t cover everything. Just want it to look noticeably better than my natural skin, and I’m hoping that switching over to all-natural will help with the acne, anyway. Any recommendations or do you think this would work? edit: to clarify, I’d use concealer, but only under my eyes and on the most noticeable blemishes. what I’m wondering is if this would cover up smaller zits and blemishes reasonably well.